If you thought Lego was just a fun toy for kids, think again. Led by Lego designer Aurelien Roufflange at the company’s facility in Kladno, Czech Republic, a team of 16 specialists, including designers and mechanical and electrical engineers, took on what Lego considered the “ultimate challenge”—to build and drive a full size, self-propelled vehicle. The Kladno facility specializes in designing and creating complex models for Lego stores and Legoland parks around the world. It took the team 13,438 man-hours to build the Bugatti Chiron piece by piece. One million Lego Technic elements were used, and the engine contains 2,304 Lego Power Function motors, as well as 4,032 Lego Technic gear wheels and 2,016 Lego Technic cross axels. The car weighs 3,300 pounds; no glue is used in its assembly. 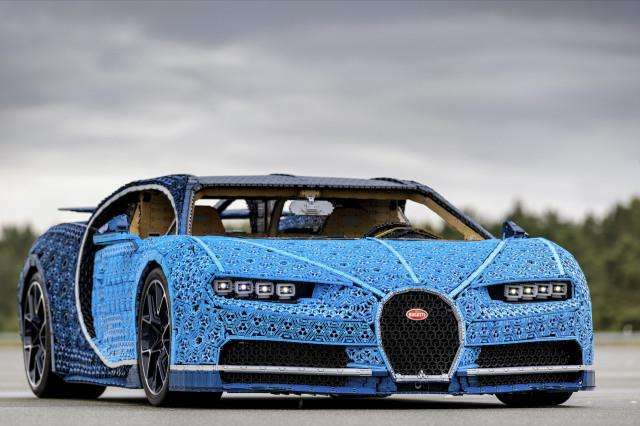 The Lego version of the Bugatti Chiron has a theoretical performance of 5.3 HP. The Lego vehicle was test driven by Andy Wallace, Bugatti’s official driver and former LeMans winner, reaching a speed of 12 mph. The car was unveiled on Aug. 30 at the Grand Prix Formula 1 event in Monza, Italy.